In India, gender gaps in labour market rank poor, despite the recent figures of females improving in the various education levels. Many countries, particularly the nations who are members of the Organisation for Economic Cooperation and Development (OECD) have almost overcome the gender inequality in the primary, secondary and also university levels of education. The females gradually outperforming the males in terms of proficiency of higher education are reported in these nations. In 2014 across the OECD nations, 57 pc of bachelor’s and master’s degrees were obtained by women. But the scenario is not so pleasing in non-OECD nations such as India. In 2015, India’s poor performance with a 52.9 pc gender gap in the labour force participation among 15 to 64-year-olds summarises India’s stand. Further, the gender gap in the share of marginal employment was 71 pc, and the parity in median earnings for full-time employees was 56 pc. Gender stereotyping and perceptions of ability, rather than actual ability, have been said to contribute to gender gaps in proficiency in The Pursuit of Gender Equality: An Uphill Battle, OECD’s recent report on gender equality across the world. The report also talks about how fields of study (and subsequent career paths) of boys and girls start to diverge by the age of 15, and also how more boys and not girls choose the science, technology, engineering and mathematics (STEM) professions. In the OECD member states, 15-year-old boys are, on average, more than twice as likely as girls to expect to work as engineers, scientists or architects. In higher education, young women are under-represented in STEM; for example, women account for less than 20 pc of entrants into tertiary-level computer science programmes in OECD countries and only around 18 pc of engineering entrants. While young women have said to be better educated than young men, they are less likely to choose to study science, mathematics or computing at the university level. In India, 45 pc of females were tertiary graduates in science, mathematics, and computing in 2013. Countries, where women do well in education, have the smallest gender gaps in labour force participation and leadership positions. While female labour force participation rates have moved closer to men’s over the past few decades, women are still less likely to be in the workforce and often experience lower job quality, even across OECD countries. They are also more likely to be lesser paid. In India, gender pay gap for full-time employees between 2010 and 2015 is close to 60 pc. The Pursuit of Gender Equality: An Uphill Battle, also states how in countries across the world, women do far more unpaid work than men. The gaps are typically even larger in developing countries, where inadequate access to time-saving infrastructure (e.g., water piped into the home) and technology (e.g., washing machines) increases the total time required for chores. 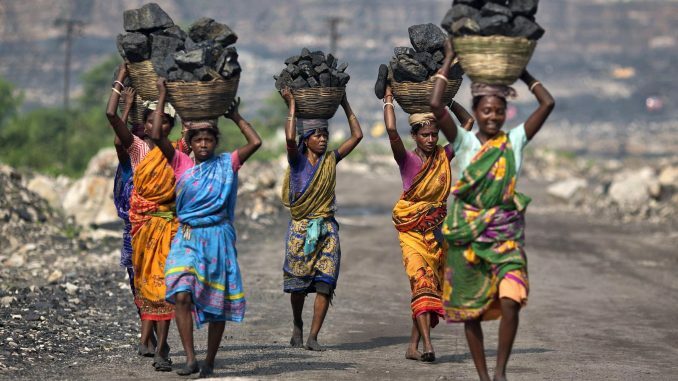 In India, for example, women spend around ten times as many hours on unpaid work as men. The OECD anticipates an increasing female labour supply in the future, and a subsequent growth dividend. “Promoting gender equality and encouraging female labour participation could yield considerable economic gains in OECD and G20 countries,” it states. This analysis is based on its targets to reduce gender gap in labour force participation by 25 pc by 2025, particularly for G20 leaders, but also outside. “The largest potential gains can seemingly be reaped in Brazil, China, India, Indonesia, Korea, Mexico and Turkey, ” the report declares. The projected annual growth rate for India in GDP per capita in USD 2005 PPP, percentage, 2013-25, is 5.24, with a baseline of 4.61.